246 million vehicles are on the road today in the United States alone. They traveled nearly 3 trillion road miles last year. Expand that view out to the global economy and the numbers get staggering, as do the potential impacts to our planet and it is residents - reduced air quality, ozone damage, depletion of natural resources, and on and on. It is a problem that is not going away on it is own. Something has to change. Everyone has to do their part. This is ours. 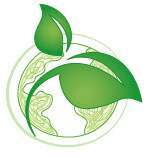 At Energetics Drivetrains, we make products that capture, conserve, and reuse energy. 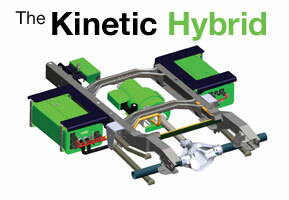 Take our flagship product, the Kinetic Hybrid. It "bolts-on" to transform class 3-7 trucks and buses into fuel sipping, green machines. It is already working in fleets throughout North America, saving 25-30% more fuel and cutting pollution by up to 30%. That is about 2.5 million fewer pounds of CO2 in the air last year thanks to our system. Honestly, that feels pretty great. But, there is so much more to do. We will keep looking for ways to help and we hope you will too. A greener planet awaits.